.... These are just a few examples for expanding your business into other areas - they all have a demand (varies by region) so, if you are thinking of widening your scope, then hopefully we've given you some ideas for researching. Discount Equipment Insurance example for AMPdj members through Hencilla Canworth: £5,000 equipment (UK & Europe) premium £120 (in vehicle cover included - requires alarm & immobiliser fitted - limited to UK only). This example is for illustration purposes only - personal circumstances may influence individual quotes. **Full terms can be found here. 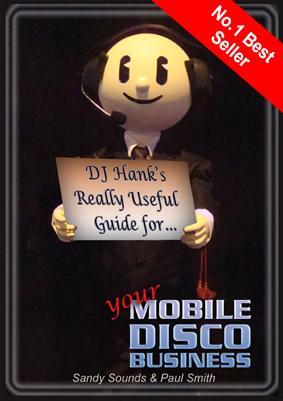 AMPdj members can benefit from a 3 month free trial of DJ Event Planner. Full details of this offer are in the 'Additional Member Benefits' area of the AMPdj site. More information on this software will be included in a future Infomail. Q. I noticed that NADJ were missing from the last Infomail about DJ Organisations - was this an oversight? A. We would have liked to include NADJ and did contact them well in advance of publication, however they did not respond. Unfortunate, but we did try! Maybe next time? Please get in touch. Either by email or give us a call. Our number is 0333 577 2247(Calls charged at normal landline rate and included in applicable call/bundle packages). We're always delighted to hear from you and to help.